The good news on Maryland revenues is that there is no more bad news and some slight growth, leading to calls of “restrained optimism” and “caution” by top state officials. But the sobering news underlining the on-target revenue projections for this year and next is that they are only growing at 3 to 4% because middle class incomes have been largely flat. 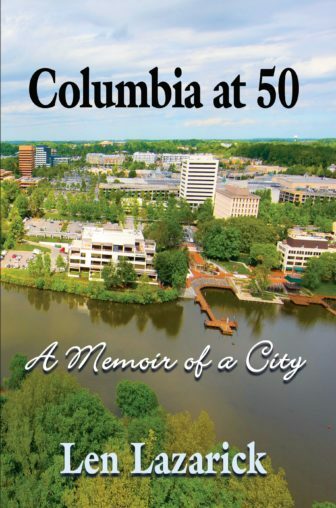 The slower growth with a static economy is the new normal for a state that had been used to 5% overall growth. “These tepid levels of growth have become our new normal,” said Comptroller Peter Franchot, who chairs the Board of Revenue Estimates, a joint legislative-executive committee that sets the available funds for next year’s budget. That’s what the chart at the top shows. Over a 14-year period, income for people making over $250,000 (the blue line) has gone up and down, but mostly up, with several dips related to the stock market and federal tax policy. 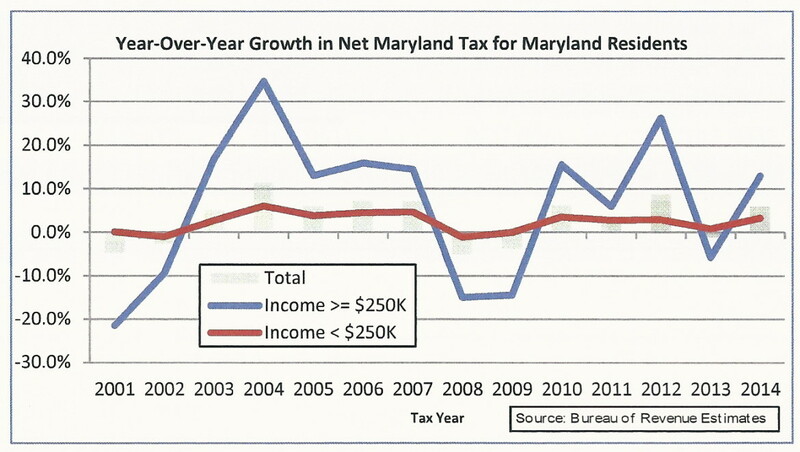 Marylanders making less than $250,000 a year have seen little growth in income, especially in the last six years. “Workers are bringing home the same or less pay as their living costs are rising, leaving them with less disposable income to spend, and in our consumer-powered economy, that in turn means that far too many businesses – especially small, local businesses – are struggling to survive as consumers rein in discretionary spending,” Franchot said. That’s why sales tax revenues were revised slightly downward. These revised numbers will be the basis of Wednesday’s recommendations to the governor by the legislature’s Spending Affordability Committee. “This is certainly welcome news,” said Hogan Budget Secretary David Brinkley. Last December, revenue estimates were revised downward by a total of $271 million, requiring mid-year budget cuts by Gov. Martin O’Malley and the Board of Public Works. “We have to exercise caution,” Brinkley said. “We’re looking for the legislature to secure some mandate relief.” This means reducing mandatory spending driven by formulas and entitlements, something the Democrat-controlled legislature has been unwilling to do in school aid and other programs. The chart below illustrates the relative weakness of Maryland’s recovery compared to the national recovery from the Great Recession. There was a lot of horsing around in Annapolis Tuesday, as a more than hundred representatives of Maryland’s diverse horse industry gathered to lobby legislators for an array of horsey priorities. Thoroughbred racing and the gambling that goes with it has often been the focus of the General Assembly, but leaders of the $1.6 billion industry have formed a coalition to emphasize the broader interests of the horsey set. Maryland has about 80,000 horses on 587,000 acres — 10% of the state’s land, more horse per square mile than any state, the industry says.